The rigorous bi-annual training for Volunteer Care Partners focuses on the fundamentals of end of life care within the broader context of contemplation and awareness. The training supports volunteers to be present and open to what is happening in the moment, thus enabling them to better understand and respond to the needs of others. The total training commitment is comprised of 35 hours of intensive training sessions and three months of mentorship. Our education and training model offers strategies for navigating the difficult emotions that can arise in caring for others. By integrating tools for reflection and awareness we become more resilient and the capacity for compassion expands. Through this shared human experience, we inspire each other to live whole heartedly. Full participation in initial training is expected. Viewing caregiving as part of personal contemplative practice is important. 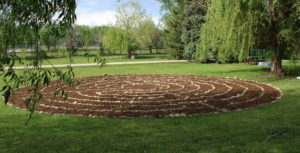 This program includes the opportunity for support in developing and maintaining such practice through access to ongoing Willow Farm programs (meditation retreats, etc.). Discounts will available for these program. After full completion of training, Care Partners are encouraged to commit to three hours of service per week for one year. The setting could be a home hospice, assisted living, or hospital. Opportunity to follow up with a mentor post service for the first three months after training is provided. Attending monthly Partner Meetings are recommended for further support and training. Opportunity to join Cause to Pause Face Book page with access to articles and posts by Willow Farm faculty. An online reading group connected to the reading list is available. Kathy Gambino is a RN who has specialized in the area of home care and hospice for the last 10 years. She has served in both nursing and administrative roles as Case Manager, Admissions Coordinator, Patient Care Coordinator, and Quality Assurance Coordinator. Kathy recently completed her Master of Divinity degree at Naropa University with a concentration in inter-faith chaplaincy. She is currently working as a Spiritual Care Coordinator with Suncrest Hospice in the Longmont area. She holds certifications in Contemplative End-of-Life Care and Level 1 Meditation Teacher Training, and has taught meditation classes at Longmont United Hospital and the Longmont Senior Center. 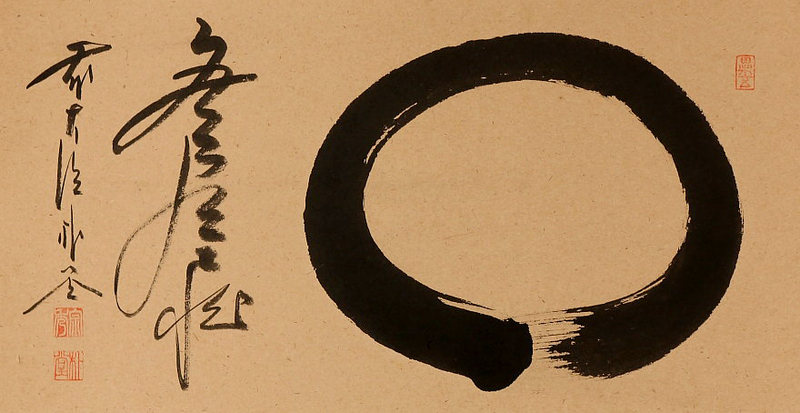 Paul Gyodo Sensei is a transmitted Zen teacher in the White Plum Zen Asangha, founded by the late Taizan Maezumi, Roshi. He was a Founding Member of the Great Mountain Zen Center in Berthoud, CO and is Founder and Spiritual Director of the Eon Zen Center in Boulder. He leads weekly Zen sittings in the area and monthly Zen retreats at Willow Farm. Kim Mooney has had 23 years of experience dealing with end-of-life preparation and long-term home care, including working with personal and professional caregivers. She has worked with hospices, hospitals, care facilities and home care agencies to support staff. As an independent consultant for faith communities, educational institutions, civic and community groups, medical and health care agencies, and mental health organizations, Kim has developed grief and crisis support programs for school districts, corporations and other community groups. A published author and in-demand public speaker, Kim has won awards for innovative approaches to death support, served as adjunct faculty in college death and dying courses, and hosts a quarterly radio show on death and dying on KGNU 88.5 FM/1390 AM Community Radio. Susan Nemcek LCSW, CHom, and Ordained Chaplain is the director of Willow Farm Contemplative Center. She is developing an alternative hospice project utilizing natural medicine, healthy food, and contemplative modalities in end-of-life. Her mission is to help shift societal approaches to death and dying from a medical model focused on “treatment” and avoidance, to a more accepting and compassionate model; integrating the dying experience into life. Loren Arienne Uecker recognized her call to death and grief transitions while lying next to her own mother as she approached her dying. This led her into graduate studies at Naropa University and 15 years of service as a professional hospice spiritual counselor. She teaches regularly on the spiritual dimensions of end-of-life. A Buddhist Minister and registered psychotherapist, Loren offers end-of-life and grief counseling in private practice with Radiant Passage, where she weaves mindfulness meditation, body oriented therapies and shamanic modalities into her tapestry of care. Karen van Vuuren is the founder and executive director of non-profit Natural Transitions. and editor of the organization’s biannual magazine. She has worked with countless families to facilitate home-based natural, green deathcare and is a co-founder of the National Home Funeral Alliance. Her current project is to open The Natural Funeral, the nation’s first living arts center for end-of-life education and green funerals in Lafayette, Colorado. Karen is also a documentary filmmaker, who has produced educational films Dying Wish and Go in Peace! for hospice and end-of-life caregivers. The fall 2019 training will be October 19th, 20th, 23rd, 26th, and 27th. Cost: $475 includes a healthy nourishing lunch. Register by emailing to info@willowfarmcolorado.org. $100 non-refundable deposit is due at registration, with balance due one month prior to beginning training. Payments can be mailed to the Farm or through paypal at donations@willowfarmcolorado.org. Space is limited, early registration is recommended.